Education gives your children the knowledge they need about different subjects, but it does not necessarily equip them with essential life skills. 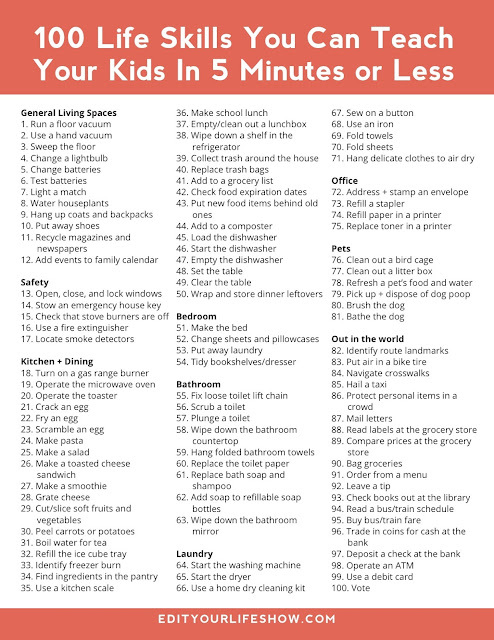 Imagine your child at her first job or in his first apartment. What skills do you want them to bring to these settings? How would you wish them to manage time, money and belongings? 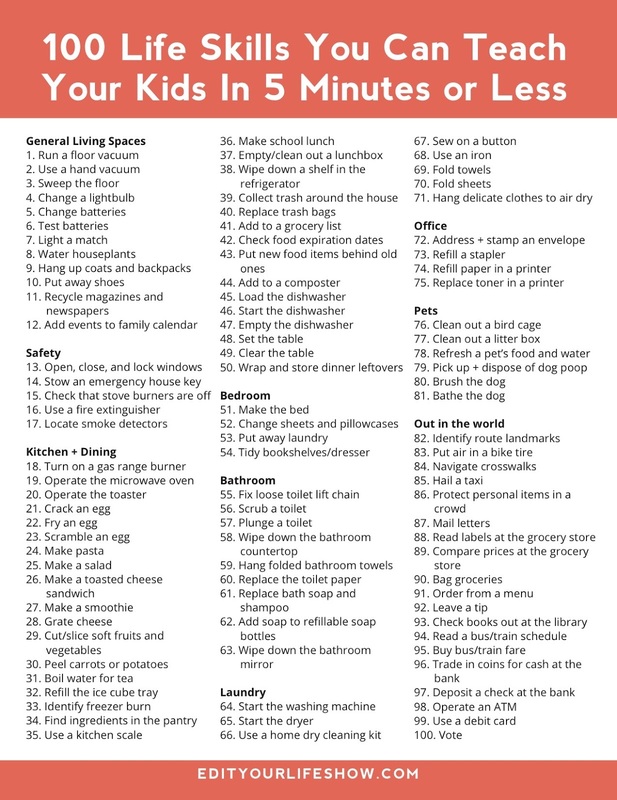 Below are everyday life skills you can teach your kid in five minutes and that he/she won't learn in school. Our best family tip: how to change a duvet cover in 2 minutes... mighty handy for all those sleepovers!